Sorry for the lack of posts the last couple of days, I've been under the weather and it's been a rough week. 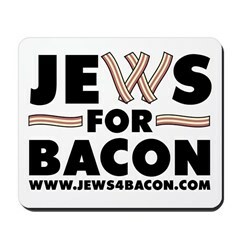 However, I am going to Atlantic City this weekend to see Clutch at the House of Blues so things are looking up! The Pirate Furniture Company, owned and operated by Pirate Artisans out of Hood River, OR, makes some seriously cool skull furniture. If you are a fan of rugged, rustic, hand-stained and hand-painted, wooden furniture with a good measure of "Pirattitude" then these guys have got you covered. This ain't your moms coffee table. And if it is, I want to meet your mom. Check http://www.thepiratefurnitureco.com for more designs. I just have a weakness for skull tables and skull chairs. What can I say? In case you are not the sort to permanently tattoo your body with tantalizing bacon tattoos, you can still be the center of attention with these interesting temporary tats, from none other than the awesomest store, Archie McPhee. In classic tattoo style, each hard-cover book contains eighteen non-toxic temporary tattoos for only $7.95. Can't go wrong with temporary bacon and skull tattoos. 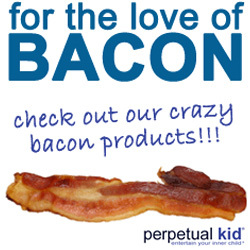 My favorites are the bacon heart and the eat or die skull. After some research it seems that keeping your bacon grease for later use is something that has gone out with the times. Most of the information on the web is about how grandmother's from all over kept a grease jar in their fridge and used it for a variety of things, like frying up potatoes, cornbread, green beans, gravy and vintage recipes such as bacon grease cookies and wilted lettuce. I keep my bacon grease in a old coffee can but the only time I've ever reused bacon grease was to make bacon popcorn, usually I just throw it out. Lately I've been thinking I'd like to have a real grease jar, the kind with the strainer, to keep in my fridge. A search on Google brings up lots of vintage & collectible grease jars for sale, and there are quite a lot of interesting ones, especially on ebay. I was able to track down one place that still sells them, Cooking.com has one called the Grease Keeper. The stainless steel pitcher holds up to 4 cups and features a fine mesh strainer on top and spout so you pour out only just the right amount of desired grease for frying. You can even reheat solidified contents right on your stove. While this is a pretty cool one, it's hard to believe that this practice is so out of style that ONE store still sells them new. Are old coffee cans the preferred way to do it? Munktiki makes the coolest tiki mugs I've seen by far. If you happen to be a tiki collector I'm sure you're familiar with the name. Munktiki was founded in 2000 by designers Paul and Stuckie who started Munktiki because they dig Tiki and get a kick out of creating stuff that’s weird, whacky, and just plain funny. I'm linking to some of the skull tiki mugs/glasses on this page but I highly recommend that you check out their entire site. Many tikis are very limited edition and go for more money but by the prices I've seen on ebay for retired pieces, it's a wise investment. 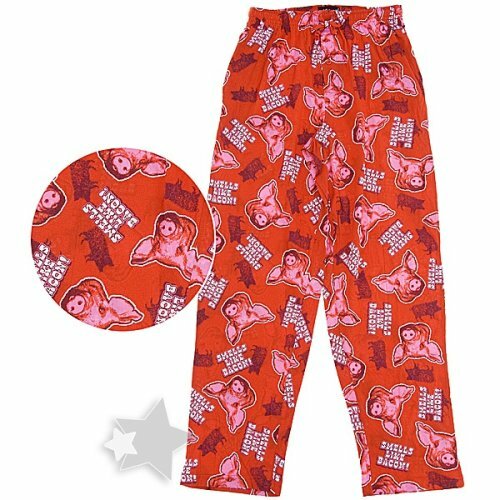 Hey guys, here are the pajama/lounge pants you've been looking for! 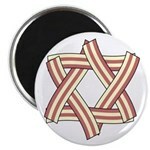 Really, who doesn't need a pair of comfy drawstring pants that say "Smells like Bacon!" on them? You know you want them. Yeah, I know, the season is already in full swing and most of you probably already have your bathing suits ready for your next summery fun excursion. 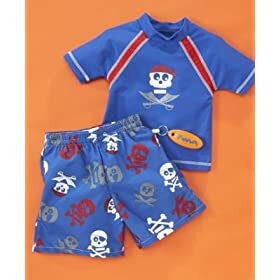 Since quite a few people are getting to this site by searching for skull beach towels, I figured I'd post some interesting skull swim suits. There are quite a few that I'm not posting, so if you want more, you gotta tell me. Hot Topic has the biggest selection (no surprise there) and I thought this suit was really cute. 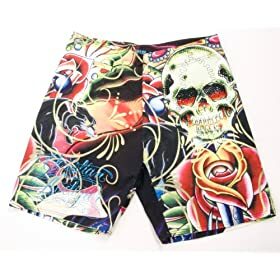 For the Plus-size gals, Torrid.com has some very cool skull swimsuits but sizes are limited since it's kind of late in the season. And don't forget the little boys! There's even some fancy skull swim goggles from REI.com! Hope everyone had a good long holiday weekend! I have just been introduced to Tokidoki, a Japanese company that makes all sorts of cutesy items. 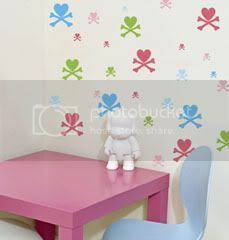 The reason I'm loving it is because they use tons of hearts and crossbones and my favorite so far is the Tokidoki Heart & Crossbones Candy-Colored Skull Logo Wall Stickers . 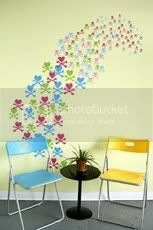 Decorate your room without painting it! It's not so cheap at $49.99 but just one package contains a whopping 144 heart and bones of varying sizes and colors. The decals are removable and reusable so you can change your mind like the wind and to rearrange them to your hearts content.